High levels of potassium intake are associated with reduced blood pressure. Observational data have been reasonably consistent in documenting this inverse relationship, whereas data from individual trials have been less consistent. 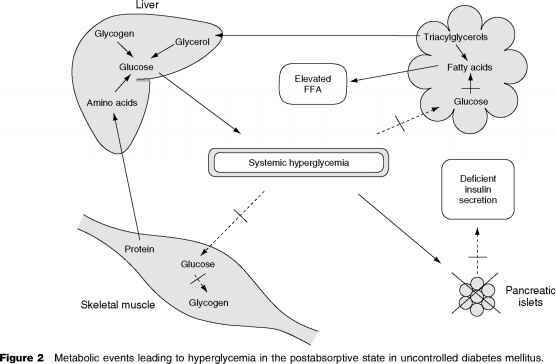 However, three meta-analyses of these trials have each documented a significant inverse relationship between potassium intake and blood pressure in nonhypertensive and hypertensive individuals. In one meta-analysis, average net systolic/diastolic blood pressure reductions associated with a net increase in urinary potassium excretion of 2 g/day (50 mmol/day) were 4.4/2.4 mmHg. Typically, greater blood pressure reductions from potassium occur in African Americans compared to non-African Americans. Most of the trials that tested the effects of potassium on blood pressure used pill supplements, typically potassium chloride. A high potassium intake has been shown to blunt the rise in blood pressure in response to increased salt intake. The term 'salt-sensitive blood pressure' applies to those individuals or subgroups who experience the greatest reduction in blood pressure when salt intake is reduced. One metabolic study of 38 healthy, nonhypertensive men (24 African Americans and 14 non-African Americans) investigated the effect of potassium supplementation on the pressor effect of salt loading (5.7 g/day of sodium (250mmol)). Before potassium was supplemented, 79% of the African American men and 26% of the non-African American men were termed 'salt sensitive,' as defined by a salt-induced increase in mean arterial pressure of at least 3 mmHg. There was a progressive reduction in the frequency of salt sensitivity as the dose of potassium was increased. In the African Americans with severe salt sensitivity, increasing dietary potassium to 4.7 g/day (120mmol/ day) reduced the frequency of salt sensitivity to 20%, the same percentage as that observed in non-African American subjects when their potassium intake was increased to only 2.7g/day (70 mmol/day). Other studies indicate that potassium has greater blood pressure lowering in the context of a higher salt intake and lesser blood pressure reduction in the setting of a lower salt intake. Conversely, the blood pressure reduction from a reduced salt intake is greatest when potassium intake is low. These data are consistent with subadditive effects of reduced salt intake and increased potassium intake on blood pressure.